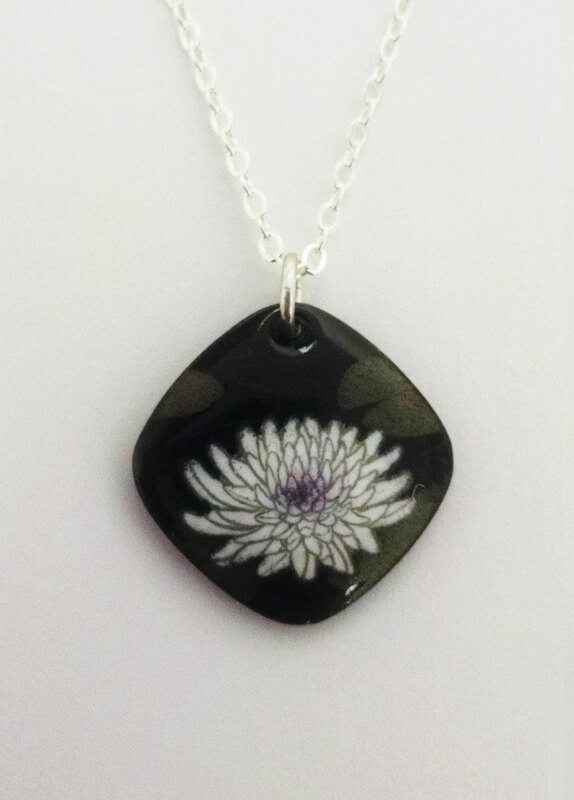 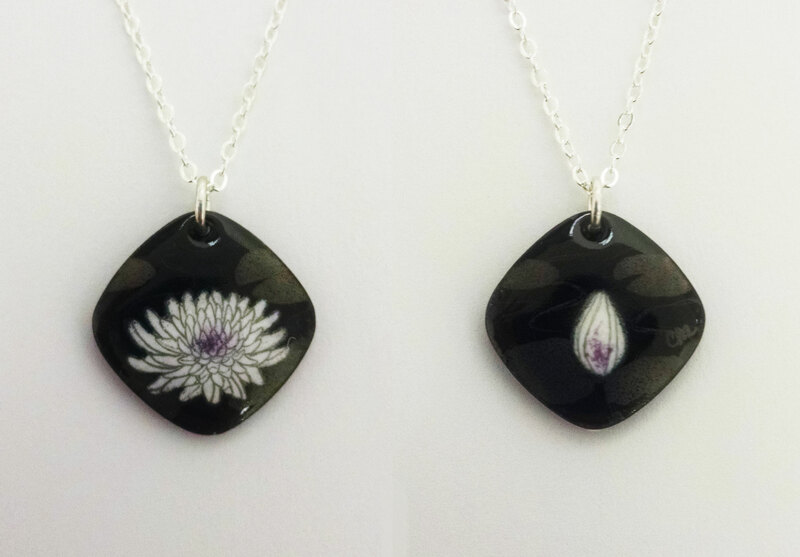 Waterlily with graphite shining silver lilypads- against onyx enamel. 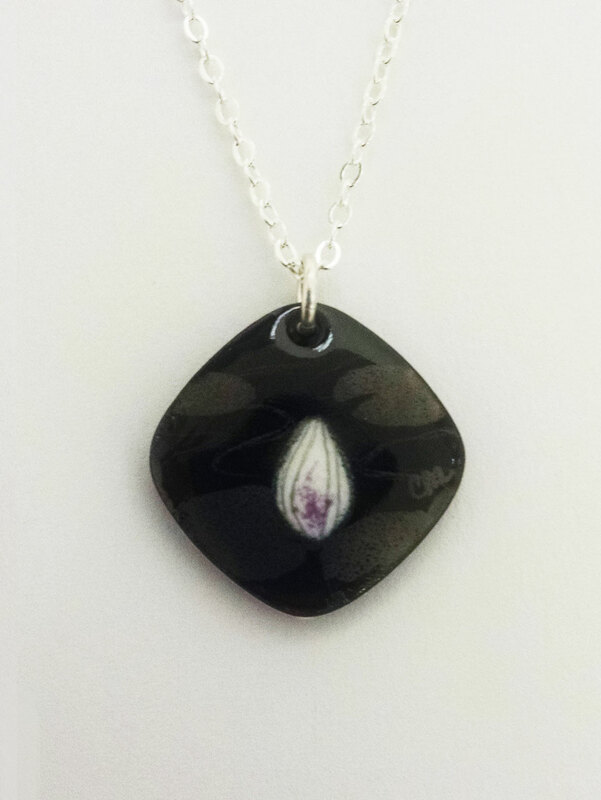 Bud on the backside, bloom on the front. 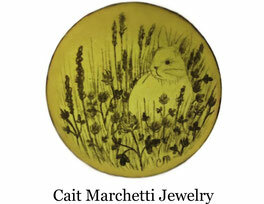 California Poppies with their tangerine color against Powder Blue-Green enamel.